Mario is collecting a lot of coins. Following the release of the first half financial reports this morning (NA time), Nintendo held a briefing for institutional investors that provided some up to date information. "Luigi holds it, holds it... HOLDS IT..."
November 14 will see another major multiplatform take to the Switch's pitch. Developer Psyonix appeared on a new episode of Nintendo Minute today to announce that Rocket League will release on Switch on November 14 in both North America and Europe. The vehicular soccer hit will start out at $19.99 US or equivalent. Hard to believe the base game came out in February. Story of Seasons: Trio of Towns has a few new options for love. XSEED have confirmed the long-promised later DLC pack for their most recent farming simulator will release on November 9. The game will update at the same time, offering new outfits including a Rune Factory 4 crossover set, along other gameplay improvements. Operation "Pass The WIi U" now in full effect for the Switch. Nintendo has announced their earnings for the second fiscal quarter (through September 30, so no Mario Odyssey effects), and the Switch is rising to heaven. And new icons, the stability of Switch software. Following major feedback from players, Earth Atlantis will receive a big balance patch. Intended to address key criticisms of the base game, the 1.0.1 patch will adjust drop rates for items, including leaving the equipped subweapon at the point of death and giving more item spawns closer to the restart point. A faster ship and toning down of boss difficutly with an emphasis on the game's Easy mode will also be included. Now, whither the Switch version. 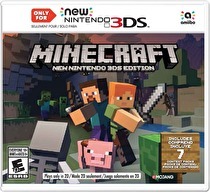 The digital exclusivity for the 3DS's Minecraft lasted about two months. Nintendo of America has announced that the pocket-sized portable version of the Microsoft property will receive a physical release on November 10. The digital version of the game released on September 13. The indie scene is pouring it on with two unique takes on the side scroller.. Independent developers are continuing to show the Switch love. Canadian studio Bishop Games will be bringing a title called Light Fall to the Switch in March of next year. Winner of multiple international awards in its demo form, the hook is that the main character utilizes an item called the Shadow Core to create a platform at their feet. 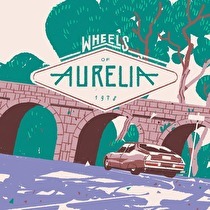 An interactive visual novel set in the European countryside. Unique is the best way to describe the latest release from MixedBag for the Nintendo Switch. Yes, there are things coming out this week that aren't Super Mario Odyssey. There's a 20 ton elephant (or maybe a gorilla?) in the room this week with the second to last game from last year's Switch debut video. Yes, Mario Odyssey is finally coming, and you can actually preload it now to beat the crowds. Daan's review is up right now, so go check it out. For the second time in a week, Nintendo has released new system software for the Switch. The Animal Crossing smartphone game will take you to a camp in your pocket. Animal Crossing: Pocket Camp will release in "late November" in all territories, and will feature a created avatar attempting to build their dream campsite. The title will be free to start, with purchasable Leaf Tickets serving to speed up construction of larger projects or instant access to smaller ones. The Titans are coming over the wall for Nintendo owners in March. A space themed platformer with procedural elements will release on Switch in the first half of 2018. Rogue Singularity stars a robot who is trying to navigate a procedurally generated 3D environment, dueling bosses and setting times in online leaderboards. Parts to enhance the robot will be found in the environments to extend the runs that much farther. "The snow glows white on the mountain tonight..."
Last week's 4.0 update for the Switch has radically expanded the market for compatible USB hubs by enabling two new features for docked systems. The first to be discovered is the ability to use USB-powered headsets with the system. USB wired headsets will work, as well as wireless headsets that connect to an adapter such as the PlayStation Gold headset. All of the indie hits in one convenient package. Nicalis's strong support of the Switch will continue soon with an indie classic. VVVVVV, which released on multiple platforms including the 3DS in late 2011/2012, will release on the Switch on November 17 for $9.99/€9.99/equivalent. Currently, only a digital release is planned. Apparently the secret to third party success on Switch is not having a filter. Following a slight delay, the September NPD sales survey for the United States has released showing strong performances from Nintendo software. The winner of the Last Toy Standing match: Amiibo. There will not be a Season 3 of LEGO Dimensions. Warner Brothers issued a statement today on the game's official Twitter account, indicating that the currently available expansion packs (known as Season 2) will be the last new figures produced. Existing figures and server support will still be available for the game. Featuring Dante from the Devil May Cry series? The Shin Megami Tensei HD project announced in January will be a numbered sequel. A livestream from Atlus today in Japan confirmed that Shin Megami Tensei V will come to Switch. 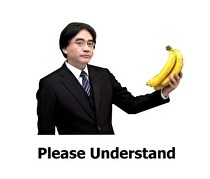 No release date has been given for the adventure. The fifth main Shin Megami Tesnei title will be the first new console title since Shin Megami Tensei: Nocturne which released in 2003 in Japan (with SMT IV being a 3DS title). For authenticity, will the back of the top screen yellow over time? 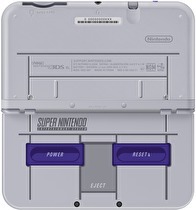 A new model of New 3DS has appeared on the North American Amazon pages that will take advantage of SNES Classic mania. A good way to save on fridge space. As promised around E3, Limited Run Games will begin publishing on Switch next year. The boutique games distributor provides small print runs for previously digital-only game for Sony's PlayStation 4 and Vita, and promises to add Switch software to the catalog next year. The print runs for these special versions are usually a few thousand units, making them sought by collectors.